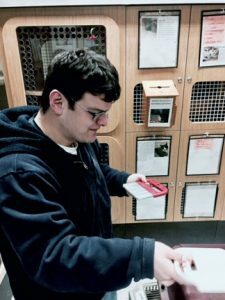 In March, the Activities Coordinator at Imperial Way assisted a group of five individuals with signing up for volunteering opportunities for Whiskers, Tails, and Ferals at the Napa Petco. 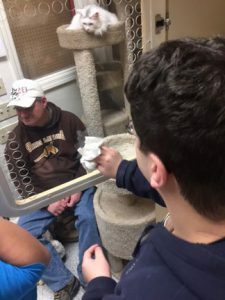 Currently, Roy, Henny, Joe, Andrea, and Jody rotate every Wednesday between the hours of 10am-12pm to assist with a variety of volunteering tasks; they clean out the cat “cubbies”, replace their food and water, and sanitize all the living quarters. All the participants are thoroughly enjoying the experience interacting with and caring for the cats. Linda, the Whiskers program coordinator, is imparting her knowledge and techniques in feral cat care to the group. The Activities Coordinator is in the process of training staff to run the volunteering site and will soon be developing more volunteering sites for Imperial Way!